For much of Keno’s long history, it existed as a form of lottery, in fact it really was a lottery, where players would select numbers and purchase entries into drawings that would occur periodically. Keno in fact was the forerunner to today’s modern lotteries. As lotteries traditionally involved simply random drawings of tickets, and have now moved toward allowing players to make their own selections among a pool of numbers, like Keno always has. At one time, in ancient China where Keno was first played, Keno drawings were infrequent, and results were even sent out by carrier pigeon to the outlying towns. So if we look at the time between when one casts one’s ticket and the time of the drawing as efficiency, Keno was very inefficient back then. Once Keno started being offered in casinos in the mid 19th century, this at least brought Keno players together at a single location, improving the efficiency a bit. The next big wave was very recently when Video Keno allowed us to improve efficiency to a matter of a few seconds, where one selects and draws can be conducted for the player instantly. This new technology also afforded an opportunity for Keno operators to offer players several variations of the game, to add more excitement and variety. In classic Keno, one selects a certain amount of numbers from a pool of 80, which traditionally was the first 80 characters in the Chinese Thousand Character Classic, but nowadays involves numbers from 1 to 80. 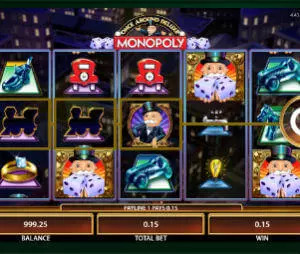 Depending on how many of your chosen numbers were drawn, you are eligible for cash payouts according to the particular pay table of the casino or operator. New Keno variations that have emerged with video Keno offer additional twists, like for instance with Super Keno and Power Keno,. Here your wins are quadrupled if you hit the first or last ball. Superball Keno is actually similar to Power Keno, meaning that if you hit the last ball, you will get 4x payout. There is also Progressive Superball keno. Here not only you have the x4 option, but also you have the shot to win the massive progressive jackpot, which increases with every play (the same way as with progressive slots). It is not enough of course to have selected the last ball drawn, you must also earn a payout, but when both of these things occur together, this adds substantially to the amount of money you will earn by hitting your numbers. Some players think that the format of these variations, with the 4x payouts available, should have them selecting as many numbers as possible, since the more numbers you select the greater the chance of hitting the Superball as the last number. While this is true, Keno operators have factored all of this in. It turns out, payouts are very similar overall with selecting anywhere from 3 to 10 numbers. Selecting 10 may be more fun though, especially for players who like to hit bonuses more often, and especially for those who enjoy playing for the bigger money. Whatever your preference though, Superball Keno does add some extra fun to an already fun casino game. The popular progressive version is the one by Pot O’Gold. Here you can make up to 10 picks. To have a chance to win the progressive jackpot you must make 7 to 10 picks. In terms of winning odds, the highest chances to win the jackpot come from making either 7 or 9 picks.